Survey of the corridor has been completed, and an RFP for Schematic Design services was released on August 10, 2018 to study potential Complete Street improvements to include: barrier protected northbound bicycle lane, two-way conversion south of North Ave, sidewalk/ADA improvements, lighting upgrades, and safe pedestrian crossings. This is a partnership project between Midtown Alliance and City of Atlanta TSPLOST program. Survey of the corridor has been completed, and an RFP for Schematic Design services was released on August 10, 2018 to study potential Complete Street improvements to include: barrier protected southbound bicycle lane, sidewalk/ADA improvements, lighting upgrades, and safe pedestrian crossings. This is a partnership project between Midtown Alliance and City of Atlanta TSPLOST program. Outlined in the Midtown Transportation Plan, this project will aim to make travel on this corridor easier, safer, and more appealing. Improvements envisioned include a protected bike facility, re-imagined bus facility, landscaped medians and green infrastructure, and other streetscape enhancements. Midtown Alliance and its partners are undertaking a series of projects to transform the I-75/85 Connector through targeted environmental and urban design improvements. The first phase of projects enhanced the two Peachtree Street bridges over I-75/85. The Peachtree Street North Bridge reached substantial completion of construction in November 2017. Midtown Alliance's second gateway project will bring multi-modal improvements to the 10th Street Bridge including new bridge fencing, lighting and landscaping, enhanced pedestrian and bicycle facilities, and improved vehicular lane configurations. In 2015, a six month planning effort led by Midtown Alliance and Smith Dalia in collaboration with the community, MARTA, and the Atlanta Regional Commission produced unique concepts for each of Midtown’s three stations—North Avenue, Midtown, and Arts Center. The goal is to transform these stations into attractive and engaging destinations for transit users as well as area residents and workers. 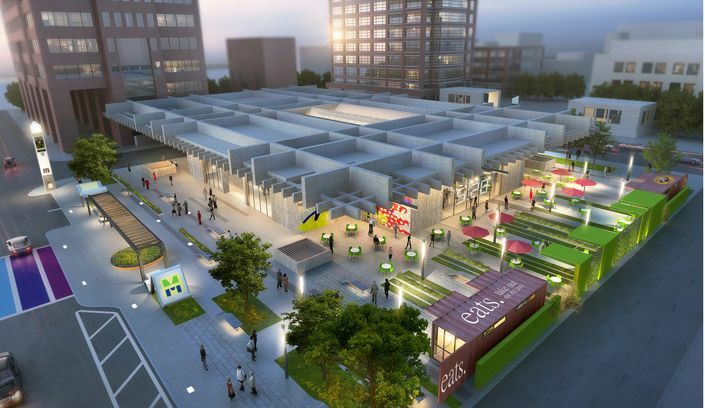 Projects include elements such as pop-up cafés, bicycle service facilities, transit towers, and public artwork. Next steps include continued coordination with MARTA. 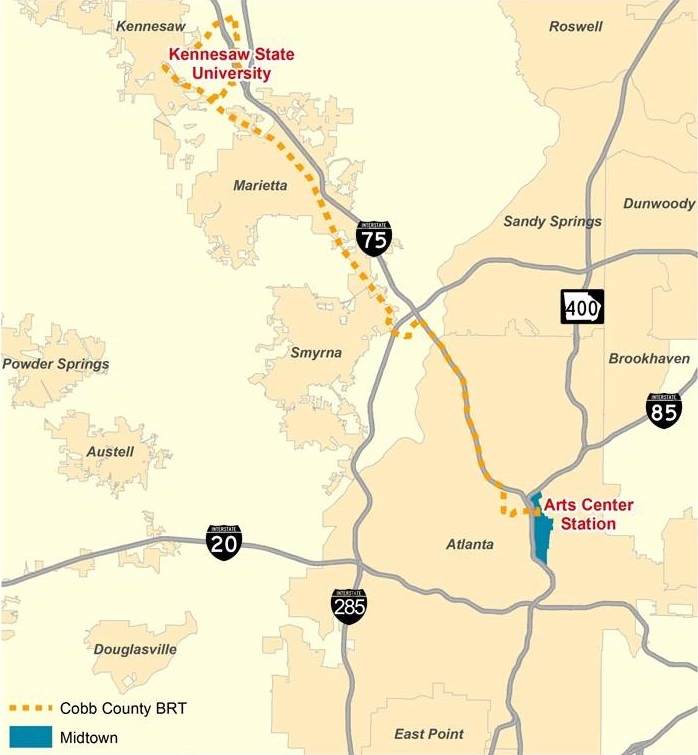 The Cobb County BRT is a future regional transportation project that proposes express bus service in managed lanes on I-75. The service would extend from Arts Center Station to Kennesaw State University. Cobb County DOT is leading the project and is currently seeking funding for the project. The next phase of the Atlanta Streetcar is slated to connect the east and west sides of the Atlanta Beltline to Midtown via North Avenue. The streetcar will provide a convenient and inexpensive option for employees, residents, and visitors to access Midtown, MARTA, and the BeltLine.